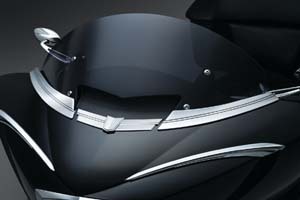 WV-611: Now a true Touring Windshield for the all new Yamaha Star Venture. Being touring riders, we now how to deliver a comfortable riding pocket and they have accomplished just that with our new Touring Windshield. 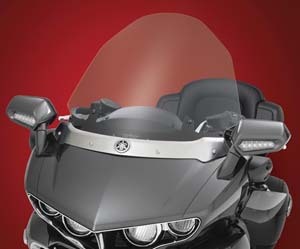 This clear windshield is a full 4" wider than stock and 2 ½" taller, creating an enhanced riding pocketbehind the handlebars. Mounts with existing hardware, and includes blackout tinting to hide mounting brackets. For 2018 Yamaha Star Venture. Made in the USA. 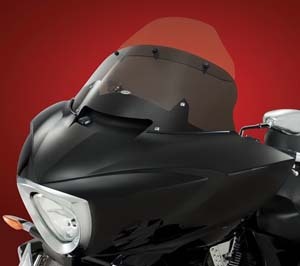 AW-26: Adjustable windshield that is perfect for a trip around town or quickly turning into a taller touring windshield. 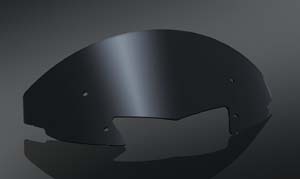 A short tinted lower shield provides everyday protection with over the top visibility. With a quick twist of three thumb attachments, you can flip the clear taller panel into place and make a full touring windshield for those times you need it. This versatility makes this windshield perfect for touring or around the town choice. Made from 3/16” DOT optically clear Lucite® Acrylic theseshields provide years of proven performance. 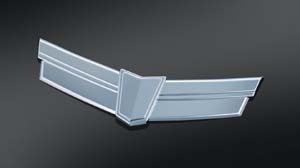 Fits the 2010 and newer Victory Cross Country’s offering a low 12” to a raised 18”windshield. Made in the USA. AW-26P: Single pouch is designed to fit Victory XC AW-26. This system has a large 8” x 4” clear cellphone pocket and a generous 10” x 4” x 2” pouch. Cellphones, MP3 Players or other devicesload from inside the sleeve keeping rain out and devices dry. The clear UV stabilized surface allows easy screen reading and will hold up in the toughest environments. Made in USA. 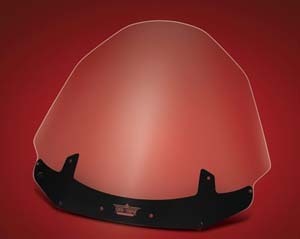 WKV-10: Designed specifically for the Cross Country, this windshield in Dark Smoke Windshield is 1" taller than the factory windshield to reduce head buffeting. 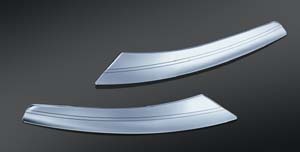 Manufactured from premium hard-coated polycarbonate, these windshields will not crack or shatter. 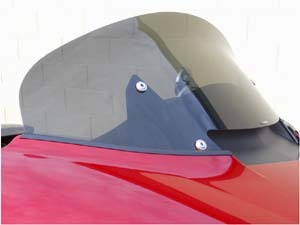 The center air scoop has been enlarged to reduce turbulent airflow and match the sharp lines of the fairing. Re-uses factory hardware. Fits: '10 to current Cross Country, Cross Country Tour & Magnum Models. 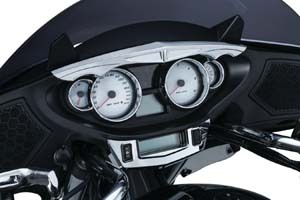 WLV Style: You are embarking on an eye-opening look at the latest in motorcycle windshield technology. A unique design with a wind combination that deflects the wind blast from your face and chest area and makes your ride more comfortable and less tiring. 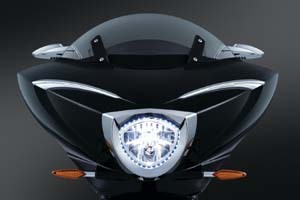 7693: Finish off the transition from fairing to windshield with an elegant strip of chrome. This two-piece chrome-plated ABS trim accent instantly transforms the look of Victory Cross Country outer fairings utilizing simple peel-&-stick installation. Fits '10 to current Cross Country, Cross Country Tour & Magnum Models. 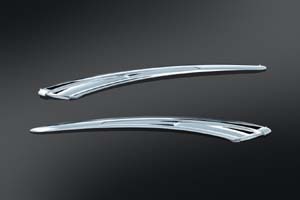 7694: Class up your Cross Country or Cross Country Tour's upper fairing with this chrome-plated ABS accent that looks great as a standalone center piece, and even better when combined with our Windshield Trim Accents (P/N 7693, sold separately) to completely cover the transition from fairing to windshield in gleaming chrome. Fits '10 - current Cross Country, Cross Country Tour & Magnum Models. 7680: Transform the appearance of inner Victory fairings with this injection-molded, chrome-plated accent that complements the OEM gauge bezels. 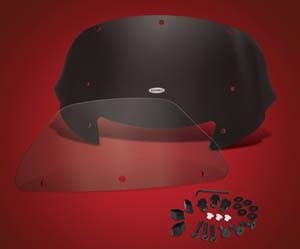 Featuring easy peel-&-stick installation with high-strength adhesive, the Top Dash Accent for Victory also serves as a visor that reduces glare off the gauges. Fits all '10-'16 Victory Cross Country, Cross Country Tour Models and '15-'16 Magnum, Magnum X-1 Models. 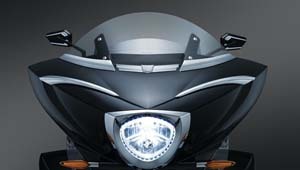 7691: Break away from the pack and add an elegant, modern look to your fairing. Installation is simple, just peel-&-stick. 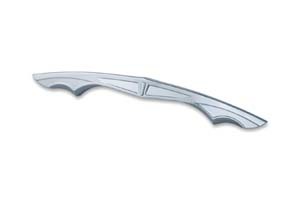 Made of high quality, lightweight chrome plated ABS. Fits '10-'16 Cross Country, Cross Country Tour & Magnum Models.